What exactly is the “outback”? I kept hearing the word, along with “the bush”, like it was some mystical place. Turning west from Townsville, I began to understood what the word means. 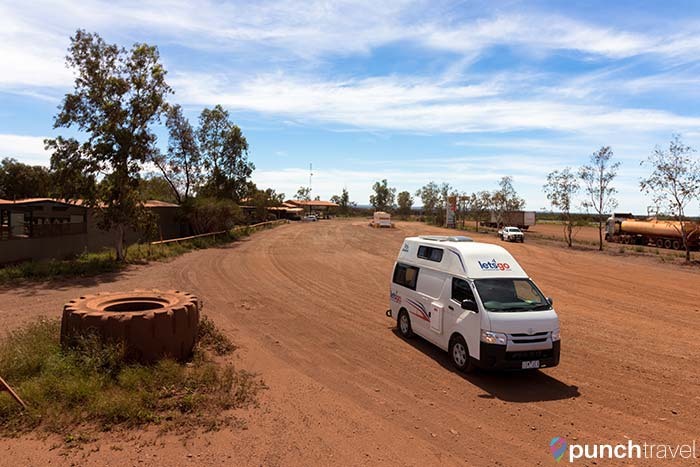 It means the remote backcountry that encompasses the middle of Australia. And as we drove deeper and deeper into the Red Center, I could see my surroundings start to change. The desert is vast and an empty stillness permeates the atmosphere. 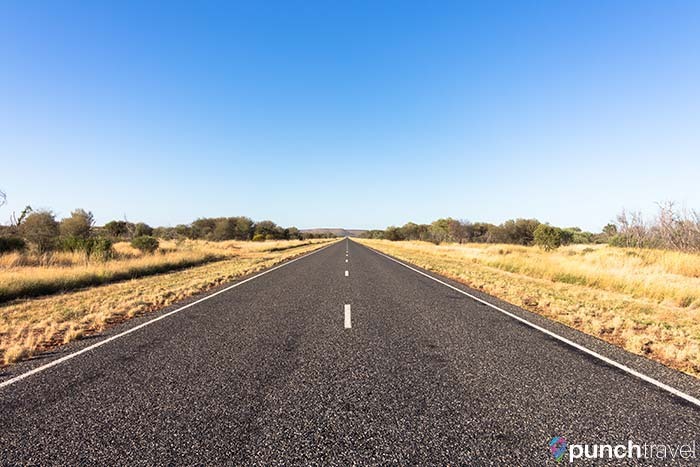 It is easy to drive for miles along Stuart Highway without seeing another soul. Not even a kangaroo to keep you company. If the apocalypse happened, you wouldn’t even know. 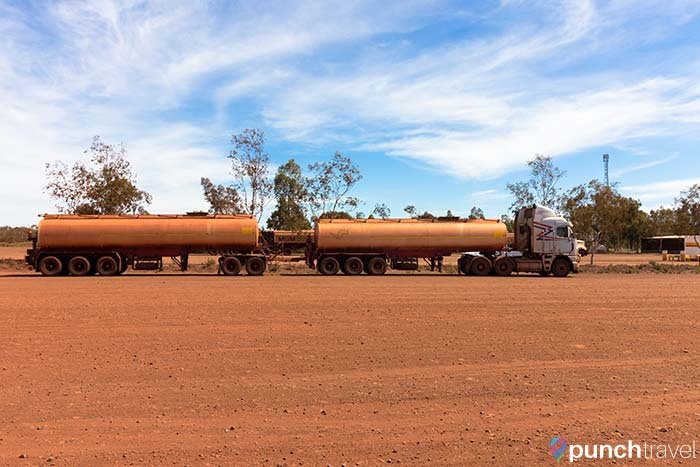 Cars disappear, instead replaced by “road trains” – huge semi trucks over 50 meters long consisting of 3 wagons of goods. The sight of one of these monsters barreling down on you in your rearview mirror is terrifying. Driving in the outback is not for the faint of heart. It takes a lot of patience, endurance and good music to get through the long, monotonous drive. But despite these challenges, the landscape is the most unique you’ll ever encounter. 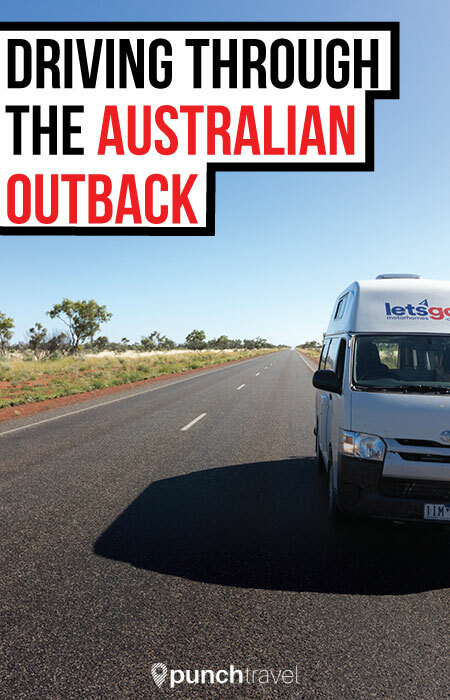 Here are our recommendations for what to see along the way from Townsville to Uluru. 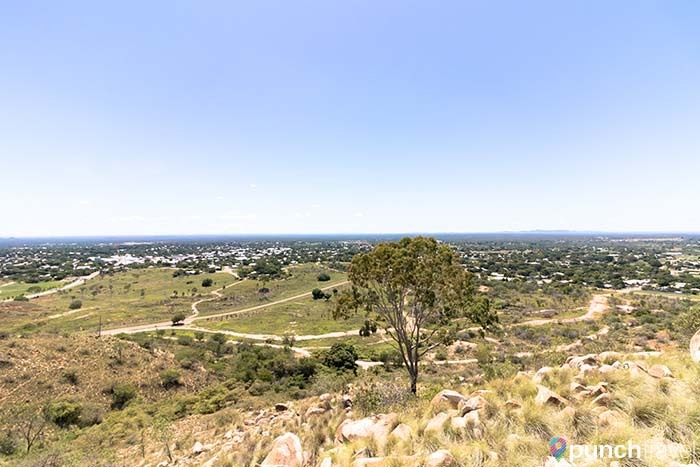 The mining town of Charters Towers is considered one of Australia’s first outback towns. The town still retains its wild west feel from when gold was first discovered during Australia’s gold rush. Head up to the Towers Hill for views of the town and watch out for mines! Tower Hill was once the site of WWI bunkers. 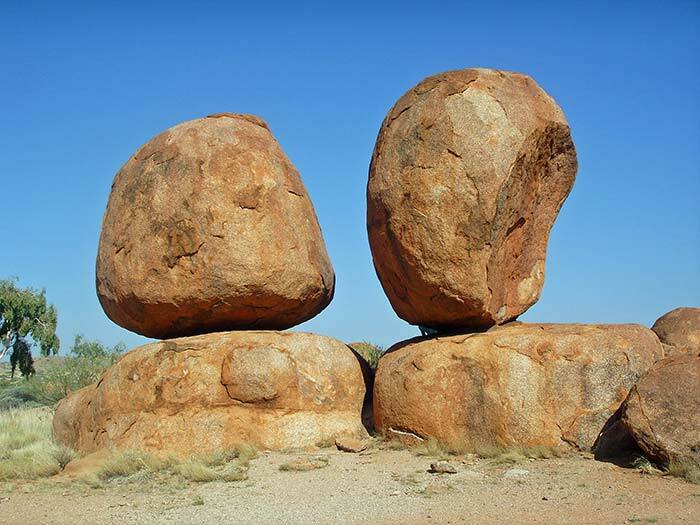 This fascinating formation of granite rocks is known as Karlu Karlu or Devils Marbles. Formed from millions of years of erosion, the rocks vary in shape and size and often appear to be balancing precariously atop one another. Extending from either side of Alice Springs are the MacDonnell Ranges. The mountain range offers awesome views, hiking, swimming and off-roading. The town of Alice Springs is literally an oasis in the desert. After traveling for days without seeing so much as a gas station, you’ll never be so excited to see a McDonald’s. 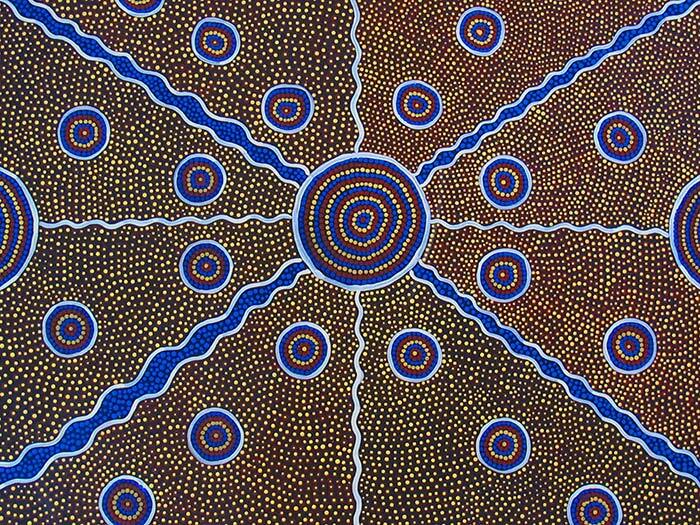 Alice Springs is also home to several Aboriginal art galleries. 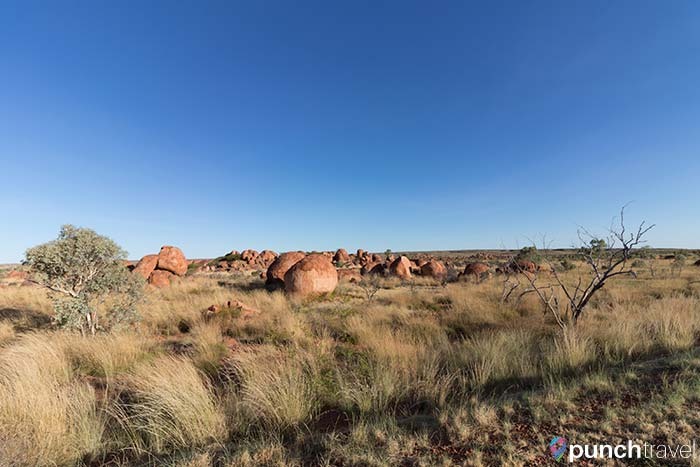 It’s often mistaken for Uluru, but Mount Connor is equally as iconic. Visiting it is only possible with a guide, as it is located on private land. Inquire at the Curtin Spring Stations Roadhouse. 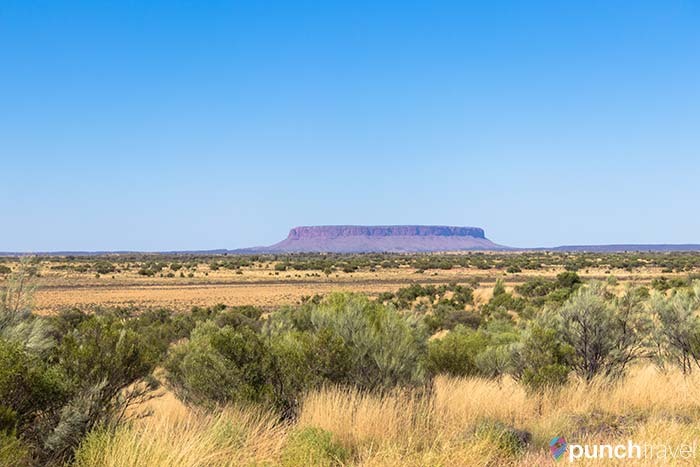 Australia’s most well-known landmark, the giant monolith rises through the vast desert. Explore more by partaking in a base hike at dawn. Or snag a spot to witness the colorful transformation as the sun rises and sets upon Uluru. 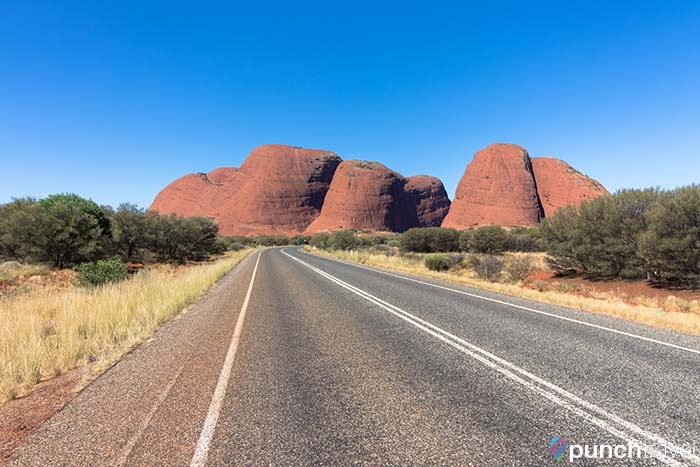 Next to Uluru is another impressive formation of rocks called Kata Tjuta. 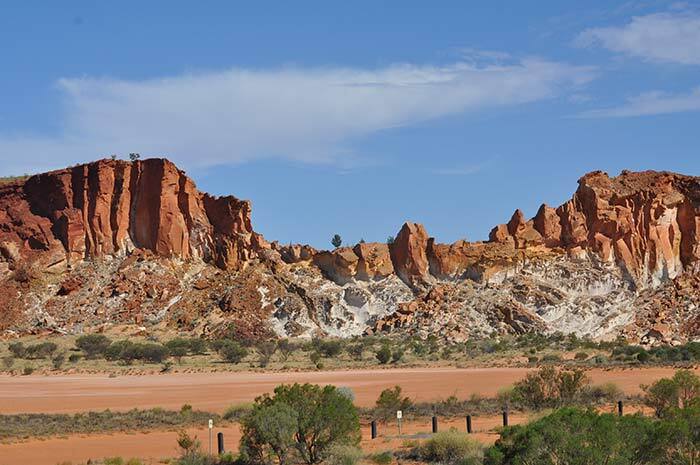 It consists of more than 30 ‘domed heads’, the largest of which reaches more than 200 meters higher than Uluru.